This tube looks like it is supposed to be the production version of the GI-10. 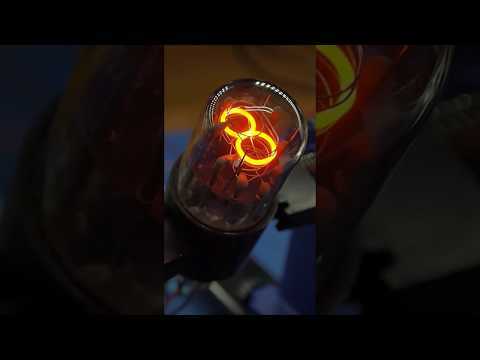 Like the GI-10, it has no dedicated anode – all of the unlit cathodes act as a combined anode and the numbers are made of formed wire. 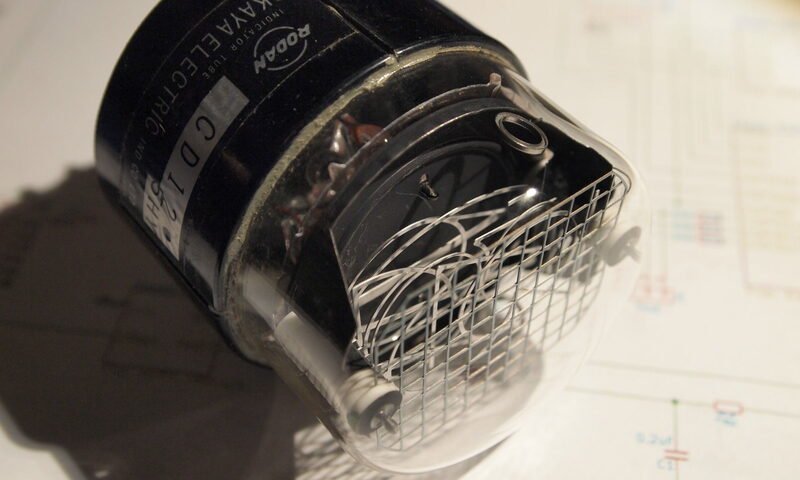 Unlike the GI-10, it has what looks like an attempt at a dedicated anode. One of the pins is connected to a couple of columns inside the tube that serve no other apparent purpose. However, at least in the tubes I have had, it does not seem to work on its own. 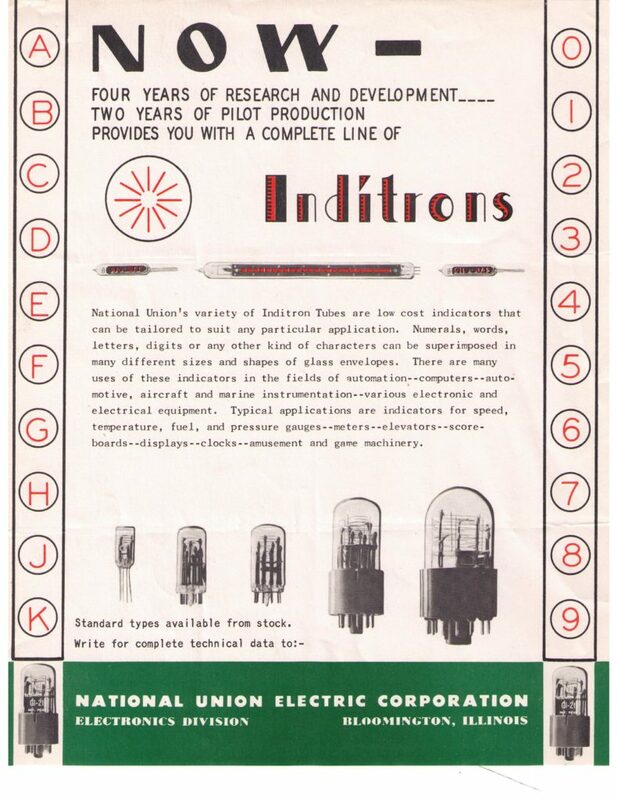 This brochure shows that National Union had plans for a line of Inditrons. However, I have only come across the GI-10 and the GI-21 in the wild.